The second book in "The Alford Saga" continues the story of Thomas Manning(now known as James Alford) as he continues to make a life for himself in Lower Canada in the 19th century. Paul Almond provides rich historical detail and paints an accurate picture of pioneer life along the Gaspesie. I guess I'll have to let the library know that I'd like to read the rest of the series. I'm enjoying the book because it takes place in Canada and it is historical but I'm only giving it 3 stars because it's too simple in some parts and has no depth in some areas. The story is good but I wish more time had been spent on the flow and the story development. Some parts were rushed. This, the second book in the Alford historical saga, continues the narrative by Thomas Manning (now James Alford) from 1813-16 as he settles on the south shore of the Gaspe and grows his new family. This volume is as good as the first, and maybe better, in that it involves great hardship, courageous determination, vicious villainy and interpersonal conflicts. In two or three spots I found myself getting emotionally involved, which for me is always a good indication of an author's excellent writing.I would recommend this book to anyone interested in the history of Canadian pioneering. It is especially suitable reading for young people but enjoyable for all readers. A number of incidents and characters have their basis in historical facts. More writers like Almond are needed to bring Canadian history to life. A continuation of the first book, The Deserter. Thomas Manning was a British naval officer aboard a ship in the early 1800's near Gaspe Bay Peninsula. He slipped off the ship, swimming to shore. In the first book, he stayed with a MicMac tribe learning the ways of the natives and how to survive the harsh climate. In the first book, his desertion, was exonerated and he was a 'free man'. He had married a young MicMac woman who had died during childbirth. In this second book, he is back on his homestead, after leaving his young infant son with the MicMac. He is trying to learn how to survive on his own on a piece of property far from any nearby settlement. He marries Catherine in this novel and together, the two of them struggle to survive in the early years of Canadian history. REally enjoyed this book and the glimpse it gave the reader of this very difficult time. This is the second book in the Alford Saga, the first being The Deserter. 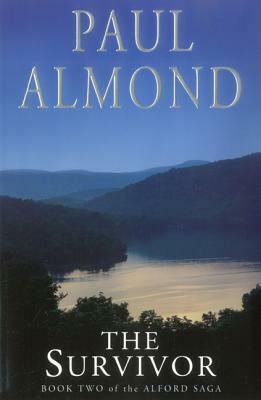 The series is loosely based on Almond's own ancestors. We rejoin Thomas Manning/James Alford as he overcomes his grief and returns to the small English community of New Carlisle in hopes of work to earn money for supplies, both food and building materials. He ends up in a sawmill, soon proving his value as a hard worker. He teaches an orphan boy working at the mill to read and write and comes through for the boy at a crucial point.Proving himself to the small community and becoming on good terms with the Garrett family, James returns to his land eager to make a life for his family.Struggling against the elements, a harsh growing season, local villains, and personal sorrow, James and his family make a new home a begin to form a community with other newcomers.I look forward to the next one. Enjoyed the book. Book 2 in the Alford Saga series. Historical fiction about settlers in the Gaspe Coast of Canada. A little amatuerish but still enjoyable. Appropriate for young adults as well. Clean. Highly anticipated by readers of The Deserter, the second book in the Alford Saga continues the fast-paced story of Canadian settler James Alford as he struggles to build a homestead in the wilderness of the Gaspé peninsula. Predictable plot. Not planning on finishing the trilogy. A quick read. The novel is an account of life as a pioneer family carving a homestead out of the virgin Gaspe peninsula. A very easy read yet the characters are great and the historical information is fascinating. A unique way of presenting one's family's past and the history of the Gaspe and frontier life. Paul Almond - Paul Almond, OC is a Canadian former television and motion picture screenwriter, director and producer, and since 1990 has been a novelist.For the past decade he has devoted himself to writing The Alford Saga, a series of novels based on his own pioneering family saga, of which The Deserter is the first part.